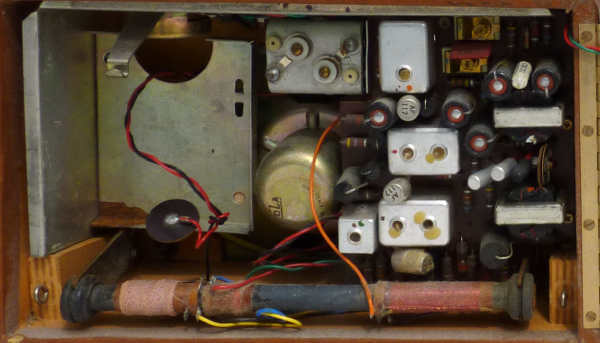 The set was taken apart [two screws on the base hold two wooden wedges which keep the chassis in place] and the speaker and carrying strap removed. The latter are kept in place by sprung steel clips which are not easy to remove but a doddle to replace. A new carrying strap was made using the original brass fixings and a ladies blue leather belt which was destined for a charity shop. The belt was coated with black scuff remover [intended for shoes] and given a coat of shellac varnish on the underside to smooth and stiffen it a little. The case was washed and given a gentle rub with a cream cleaner and the worn areas touched up with a light brown felt tip pen. When dry it was sprayed with a light coating of bees wax polish. The Roberts insignia is a reproduction glued to the front to cover the ugly holes. 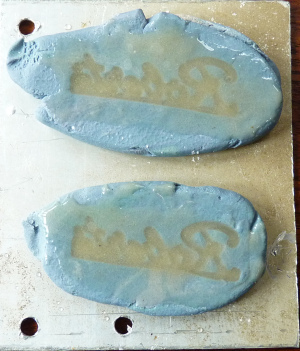 I used 'Play-Doh' to make a mould from one of my other radios and used two part epoxy resin mixed with talcum powder to make a reproduction which was then sprayed with gold paint. 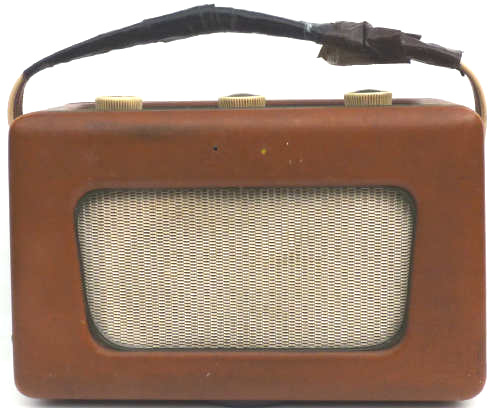 Colin had a theory in which this radio played a part. He reasoned that if he left his front door open and the radio on in the WC when he went to work his house would not be burgled. As his WC had a defective lock which always indicated engaged he reasoned this would be a great deterrent. Sadly, it was not, for one day a burglary did take place and a cine camera was stolen. The irony is that the means of entry was not through the open front door but by smashing a kitchen window! Roberts portable radios have a reputation for their high quality and good examples of this radio are worth in the region of £20, though I don't think this one would raise that! 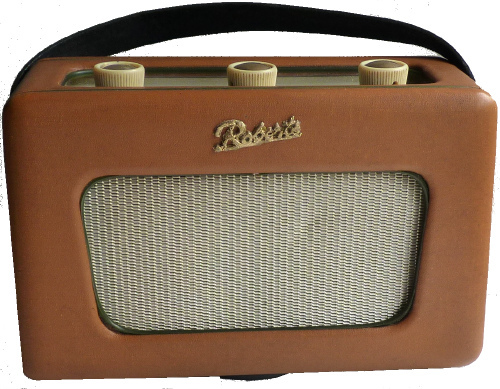 This model which sold for £16 when first introduced in 1964 remained in production until 1967.